Buy Billy Joel tickets and see the legendary performer live in concert! Performing classics like, "Its Still Rock and Roll to Me", "We Didn't Start the Fire", and "Uptown Girl" this is a night you won't forget. Get your Billy Joel tickets from Ticket Galaxy today! Billy Joel is one of the biggest entertainers and musicians in the world. After starting his career in the '60s, Joel's music has touched millions. Joel grew up on Long Island where he currently resides decades later. His first major hit "Piano Man" was released in 1973. Joel is one of the best-selling artists in history and was inducted into the Rock and Roll Hall of Fame in 1991. In the 2000s, Joel became the first musician to have a residency at Madison Square Garden. Years later, he is still performing at his residency! 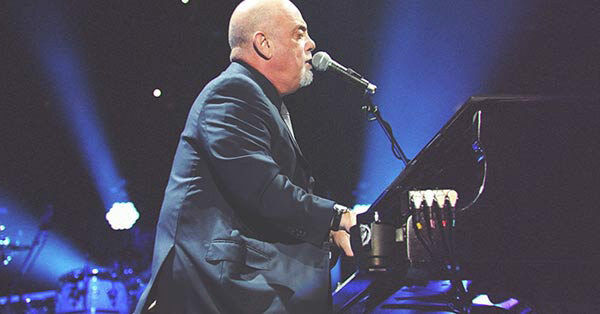 Get Billy Joel tickets to hear the "Piano Man" live with Ticket Galaxy!